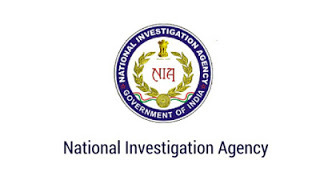 NIA Jobs Recruitment Notification 2018.National Investigation Agency, NIA inviting applications for the positions of Senior Public Prosecutor.Interested and Eligible candidates can apply for the positions. The Law Graduates with minimum 08 years of experience at the Bar, in conducting criminal cases in the Court of Law are eligible for appointment as Senior Public Prosecutor. The candidate will be on whole time appointment and will have no right of private practice during the period of contract. Dy lnspector General (Adm), NIA Hqrs, CGO Complex, Lodhi Road, New Delhi - 110003. Only short listed candidates would be called for interview. For details like location and number of vacancies, proforma application form please visit NIA website (www.nia.gov.in). The completed application in the prescribed format along with requisite documents may be sent by Regd/ Speed post to Dy lnspector General (Adm), NIA Hqrs, CGO Complex, Lodhi Road, New Delhi - 110003. The last date of receipt of applications is 30 days from the date of publication of this advertisement in 'Employment News'.